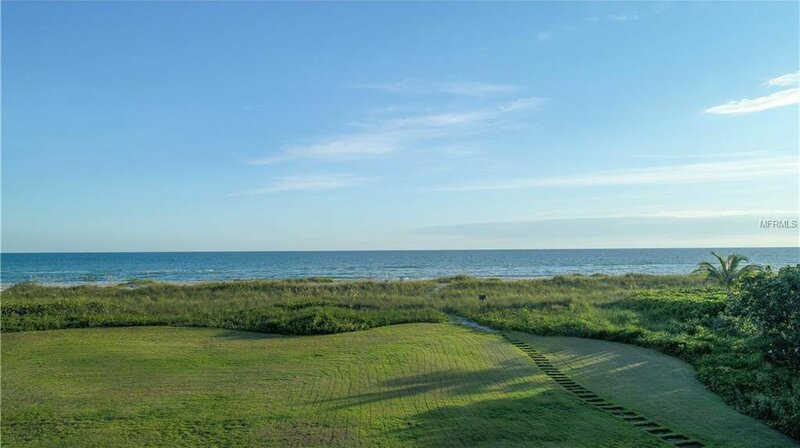 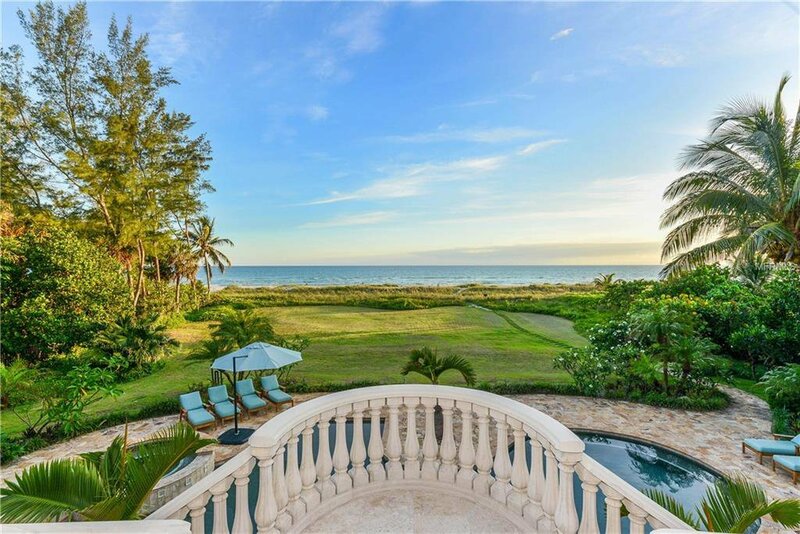 Villa Sena - Sarasota's premier direct beach front private estate with 150 feet of pristine sugar sand on the Gulf of Mexico. 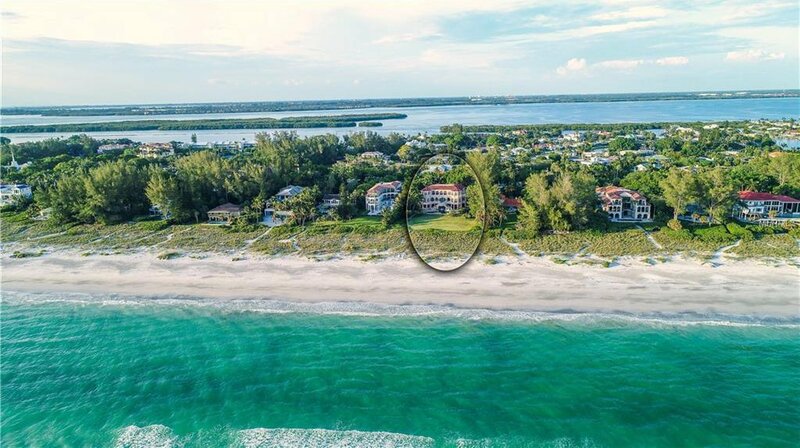 Completed in 2007 and meeting current hurricane codes. 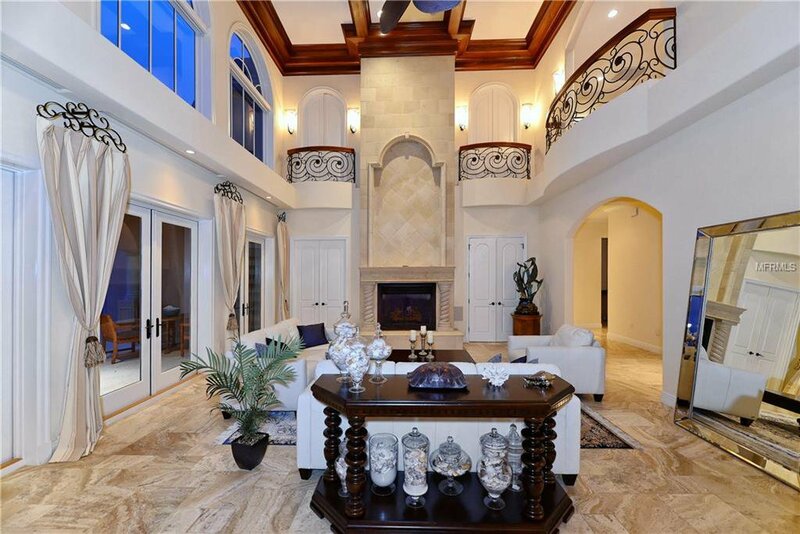 Over 10,000 square feet of elegant Neoclassical living space, featuring the finest materials and remarkable craftmanship. 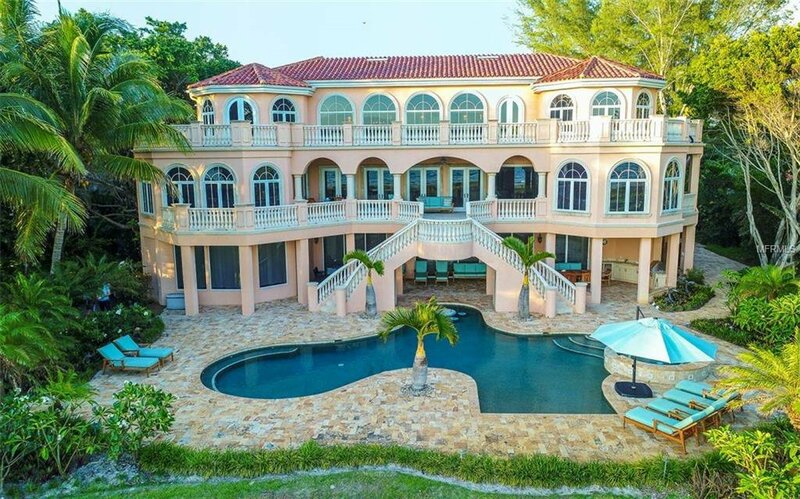 This Mediterranean masterpiece has 7,000 square feet of air-conditioned play area and storage, and gorgeous ocean views. 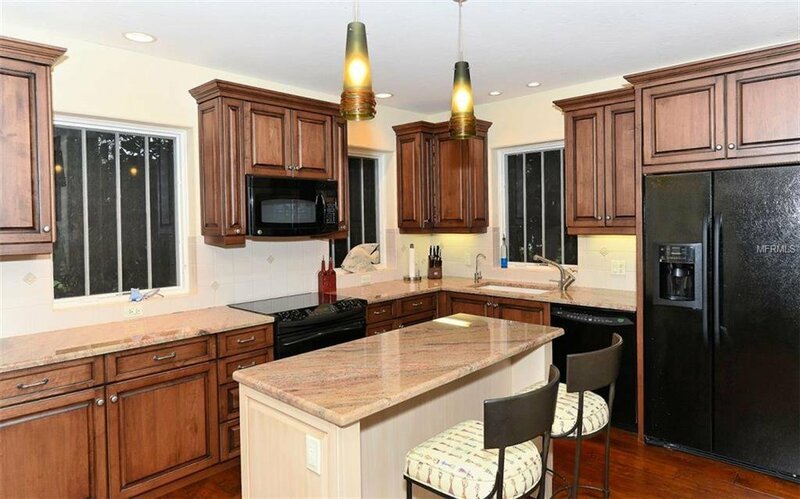 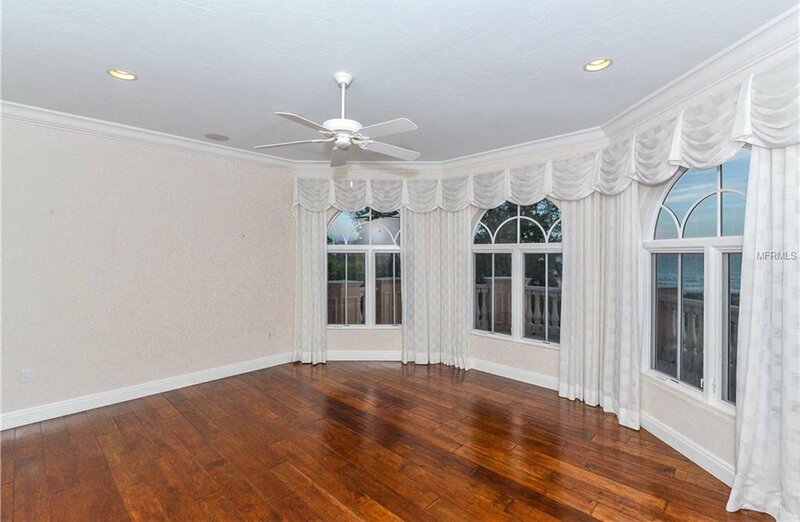 Perfect for entertaining large groups inside and out. 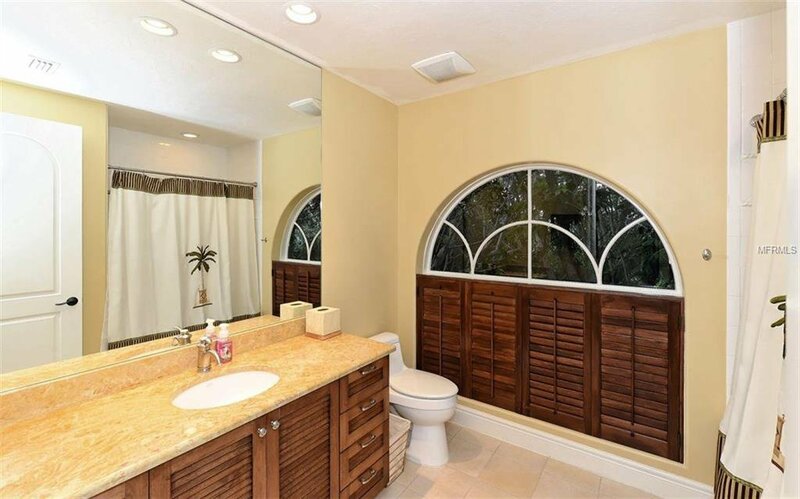 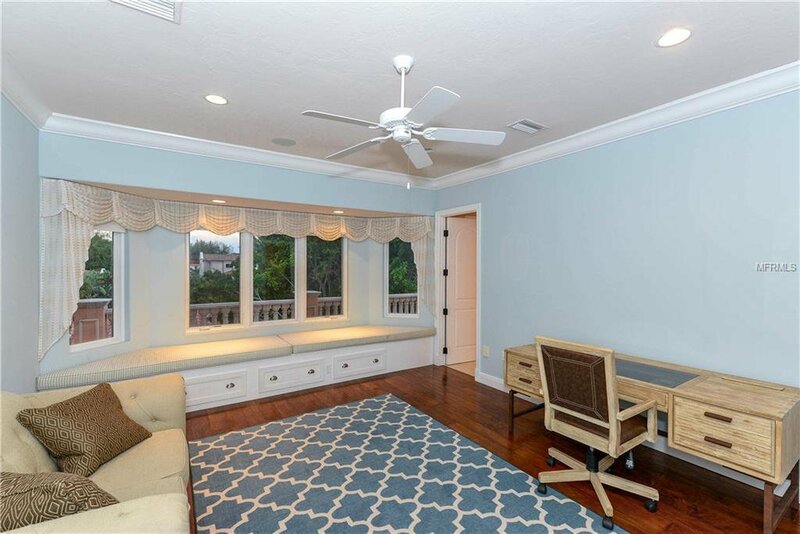 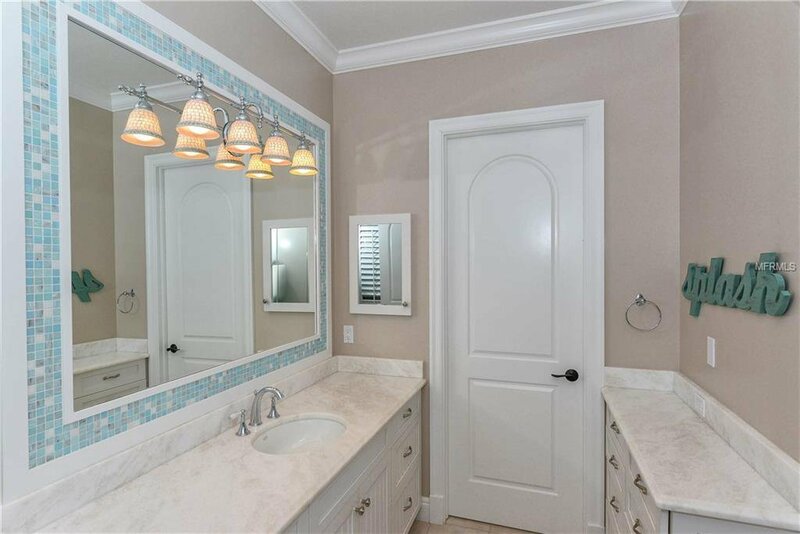 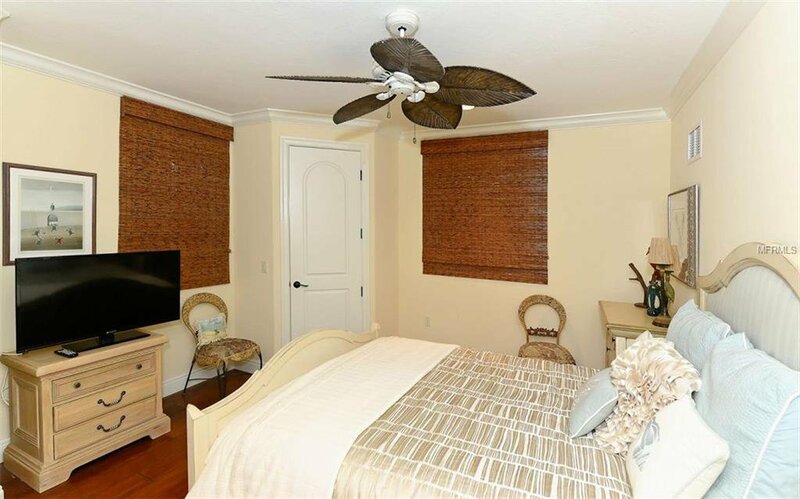 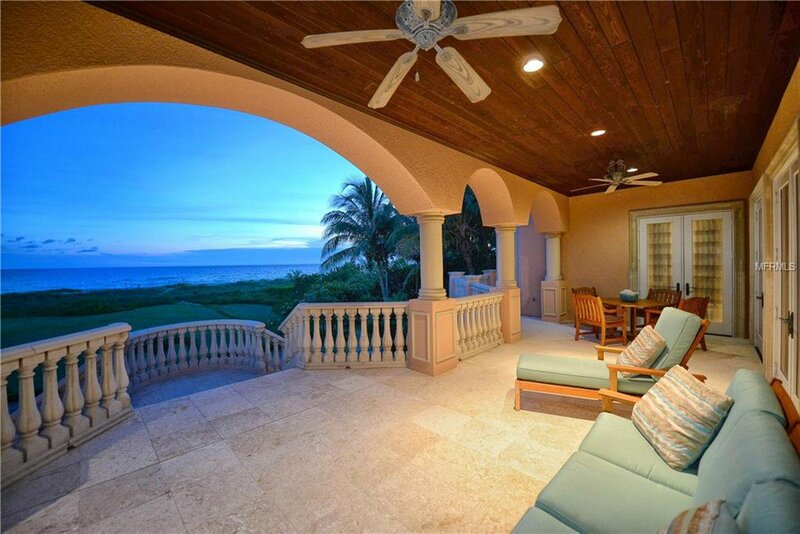 Featuring 7BR/6.5BA, arched Clerestory windows, cathedral ceilings and theater balconies, marble & wood flooring & French doors opening off of the ocean front Master bedroom that has separate his & hers bath suites. 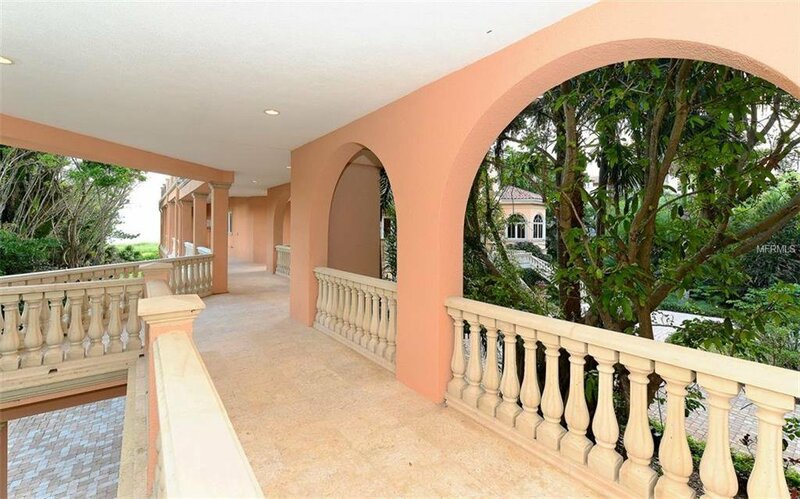 Equipped with a gourmet kitchen & top-of-the-line appliances, a 2-story library styled after the world-famous Biltmore Hotel, motorized chandeliers, Bizaza glass mosaics, granite baths, custom wave & seashell designed wrought iron railings and a grand double Mahogany staircase. 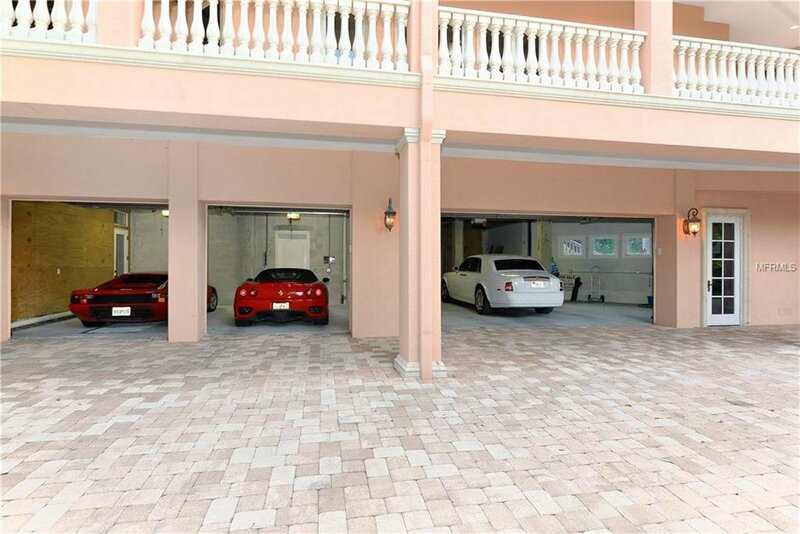 There are laundry rooms on all 3 floors and an elevator from the massive garage with work shop & storage areas to the top living level, programmable Lite-Touch system, a walk-in pool/spa with underwater seating and summer kitchen with amazing Gulf and sunset views. 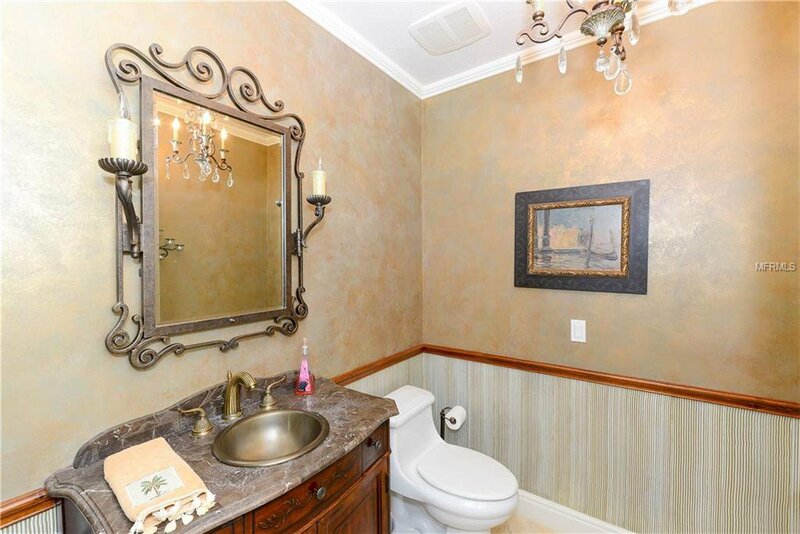 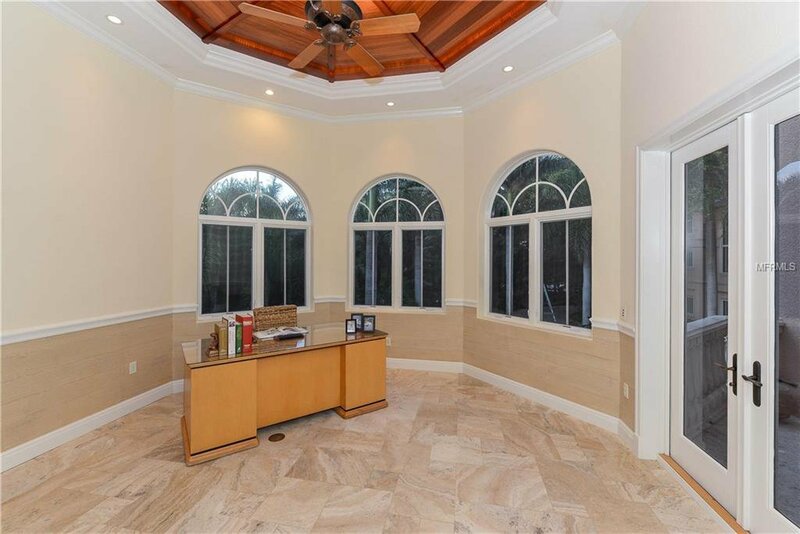 Out front is a gated entrance and lushly landscaped drive & circular motorcourt with fountain and underpass to the guest house and garage. 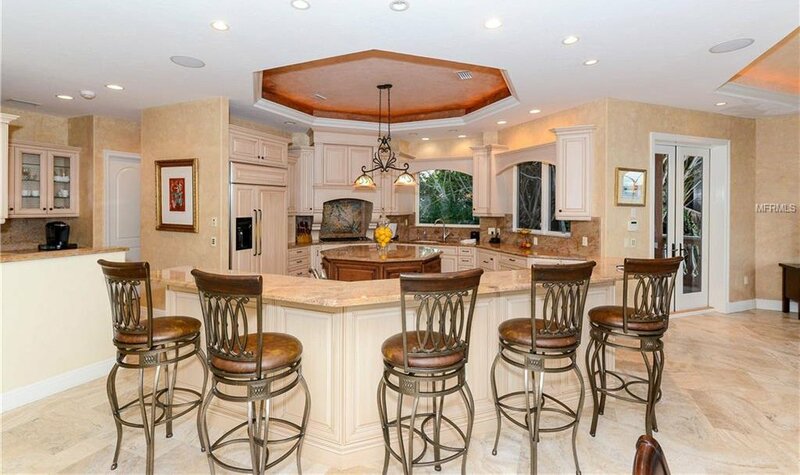 There is even a gas generator runs the entire house in a power outage. 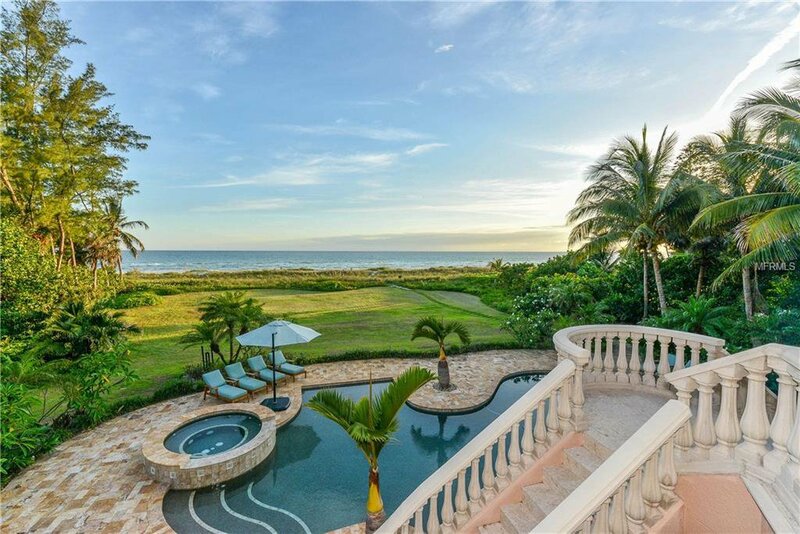 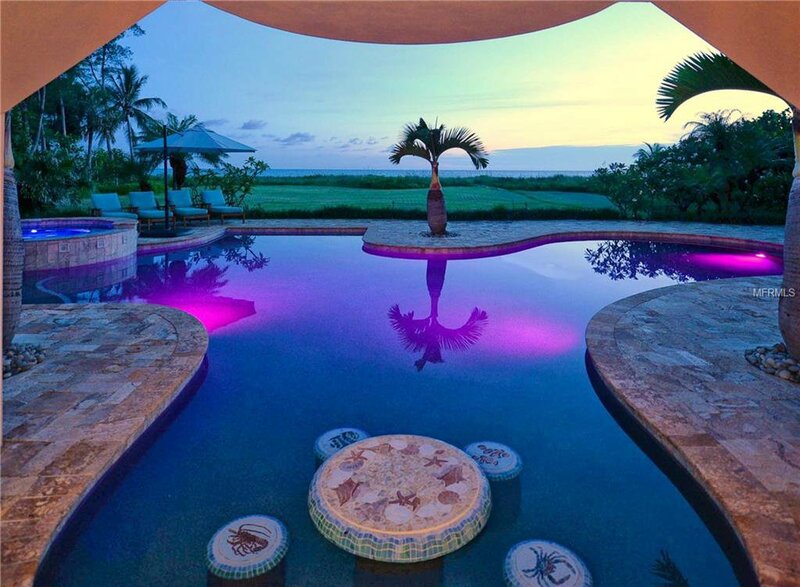 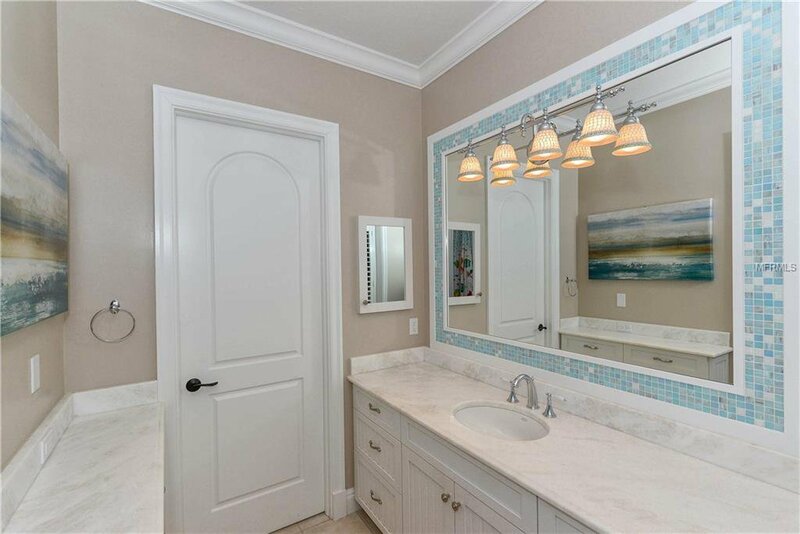 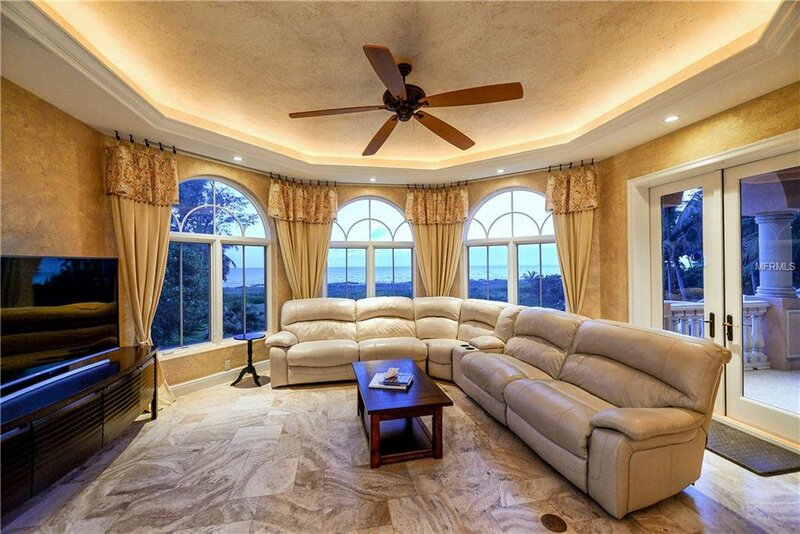 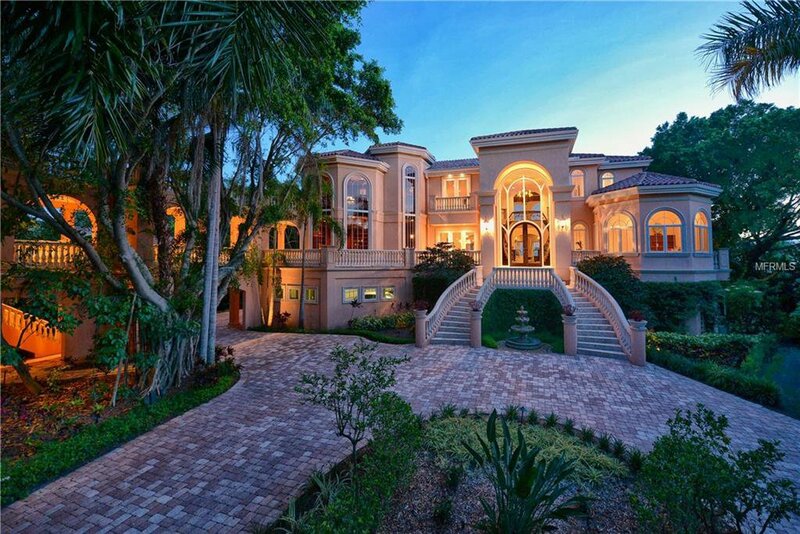 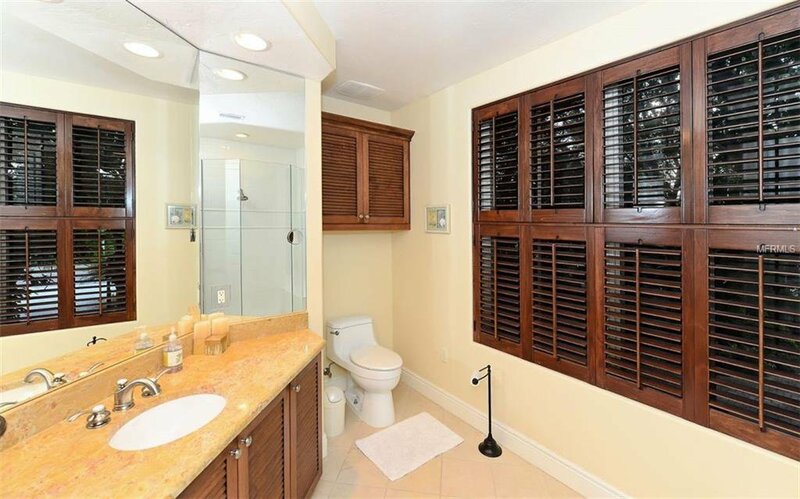 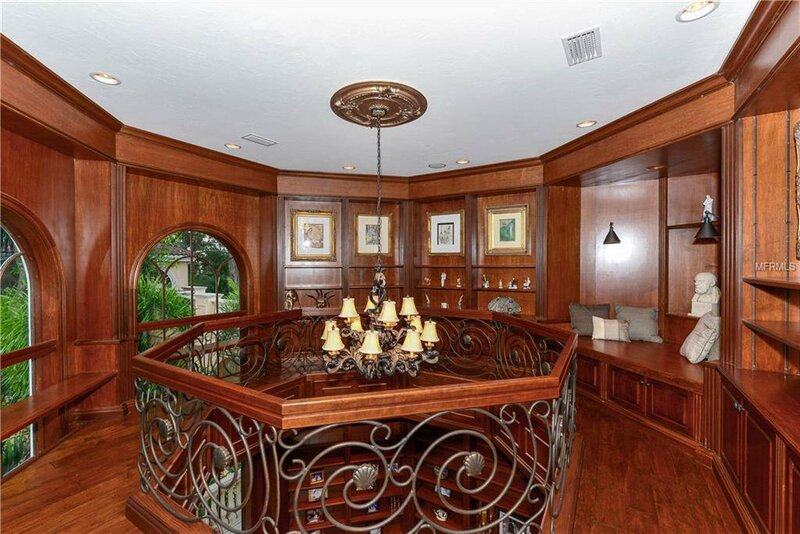 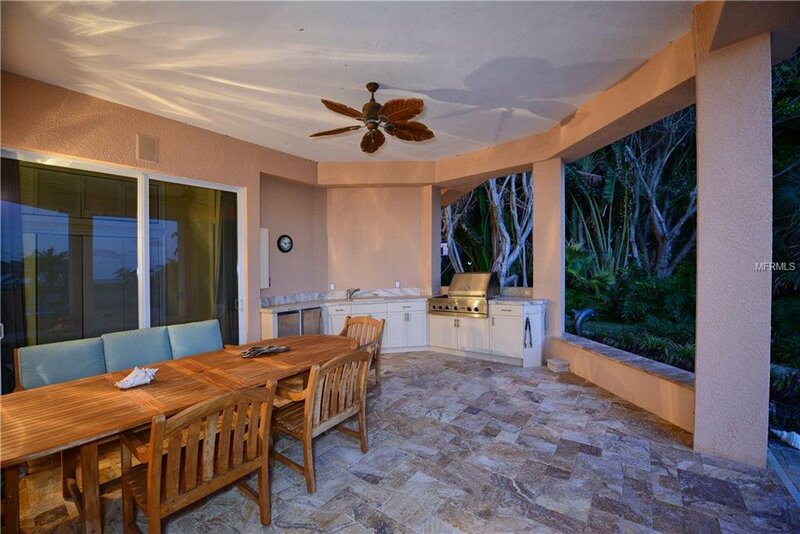 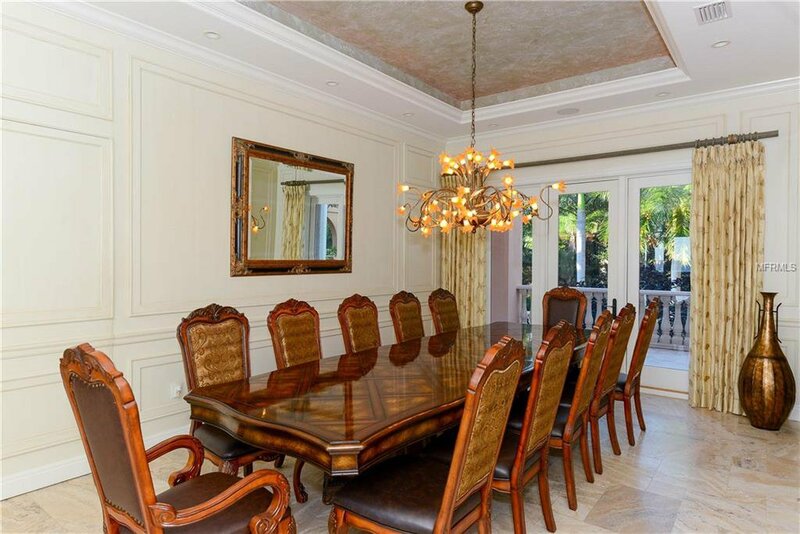 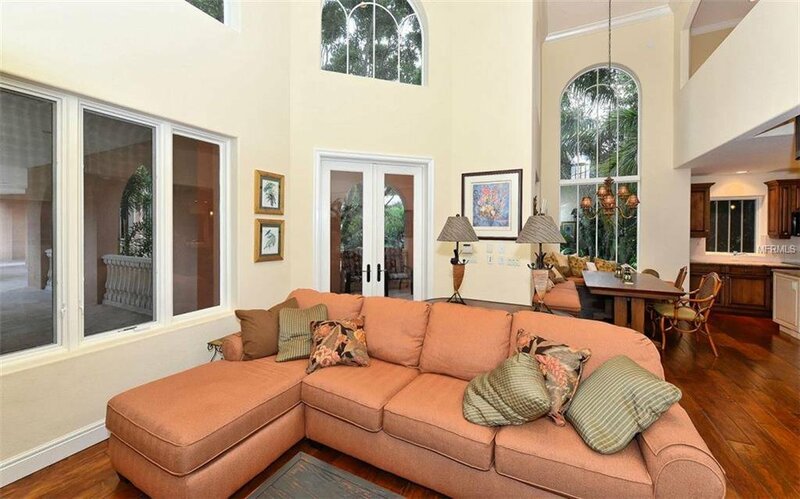 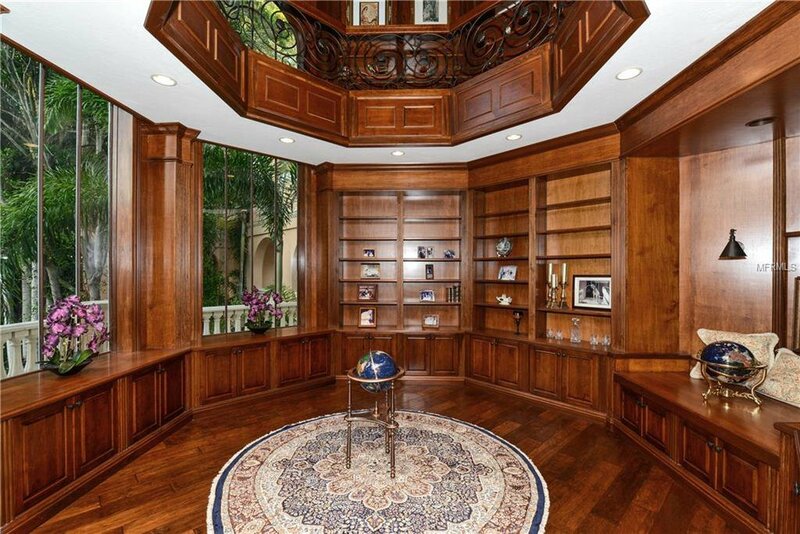 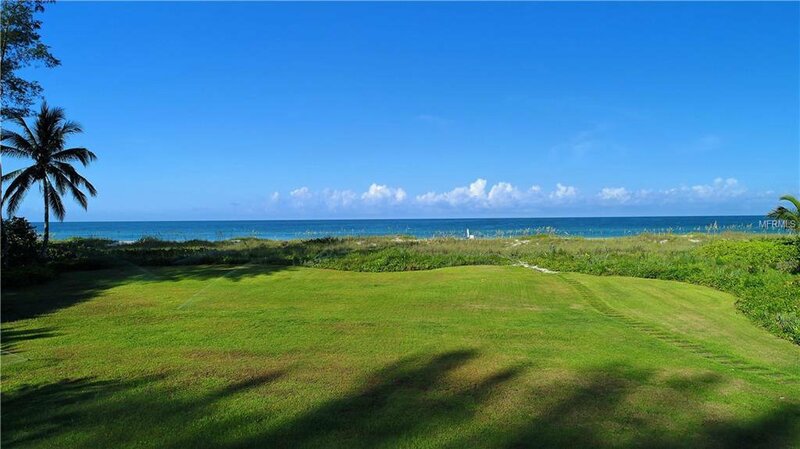 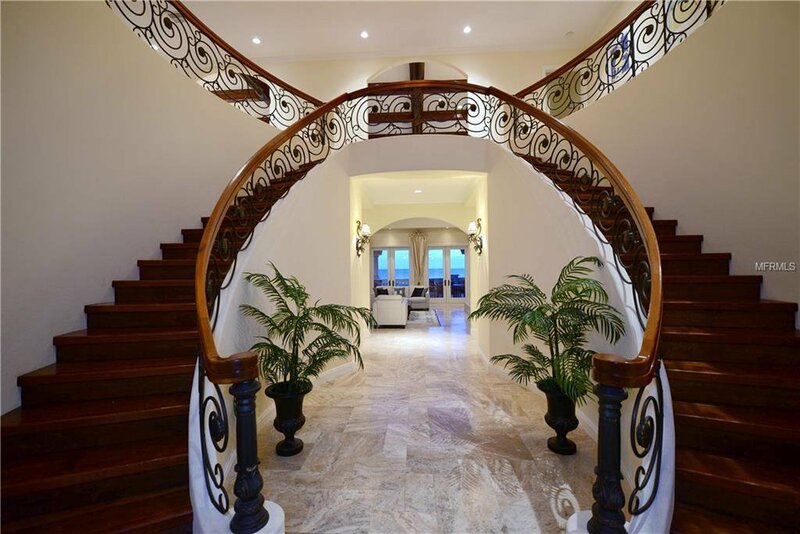 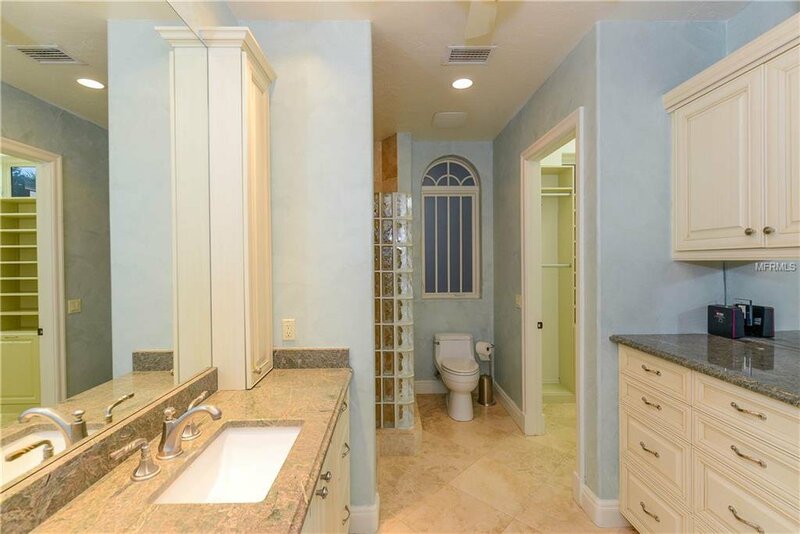 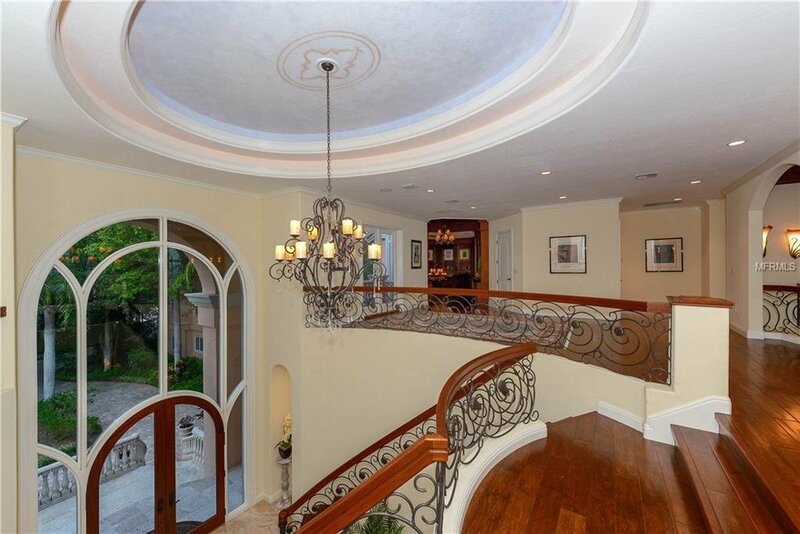 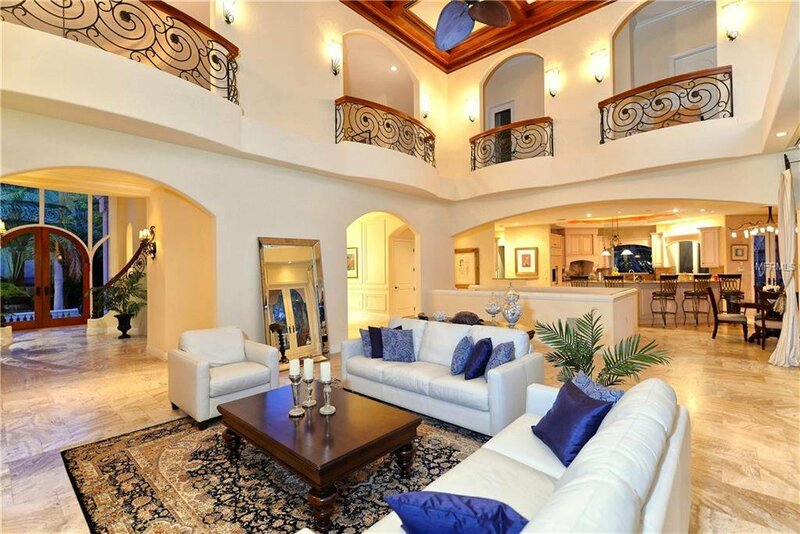 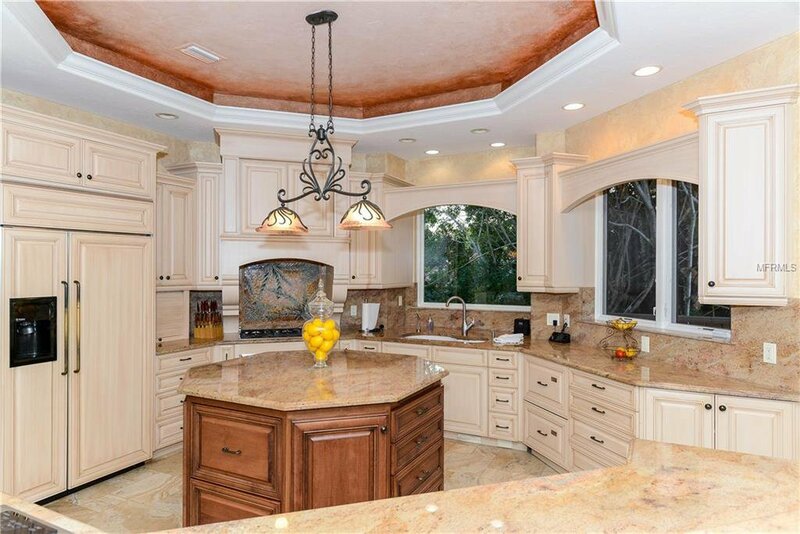 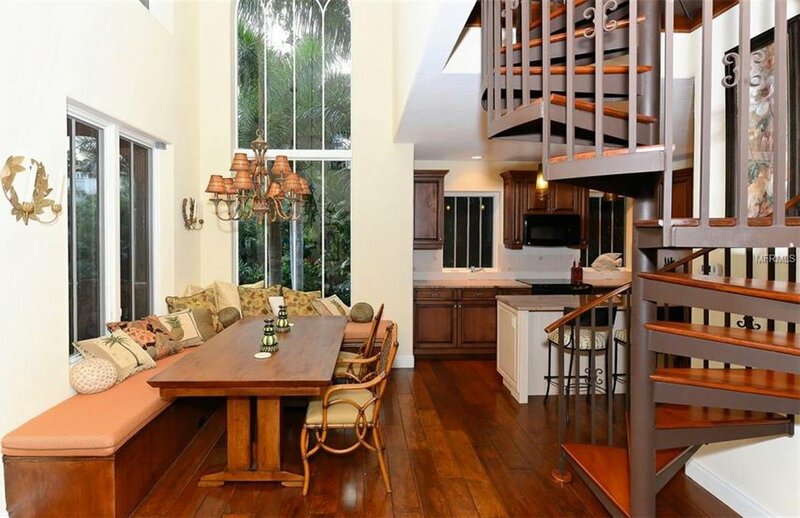 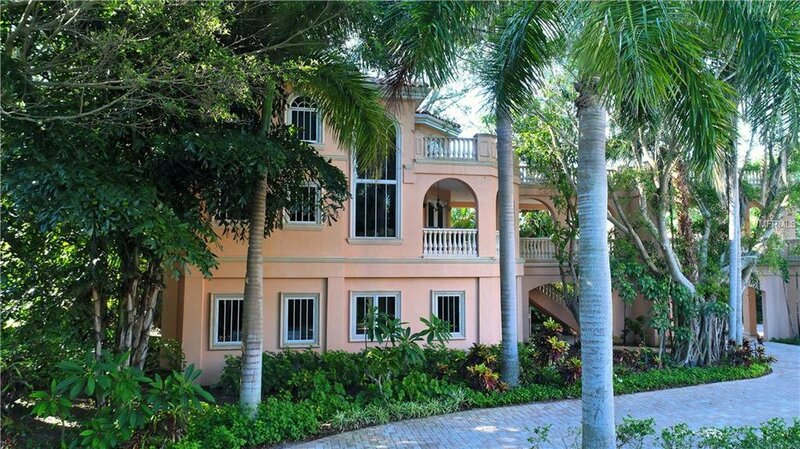 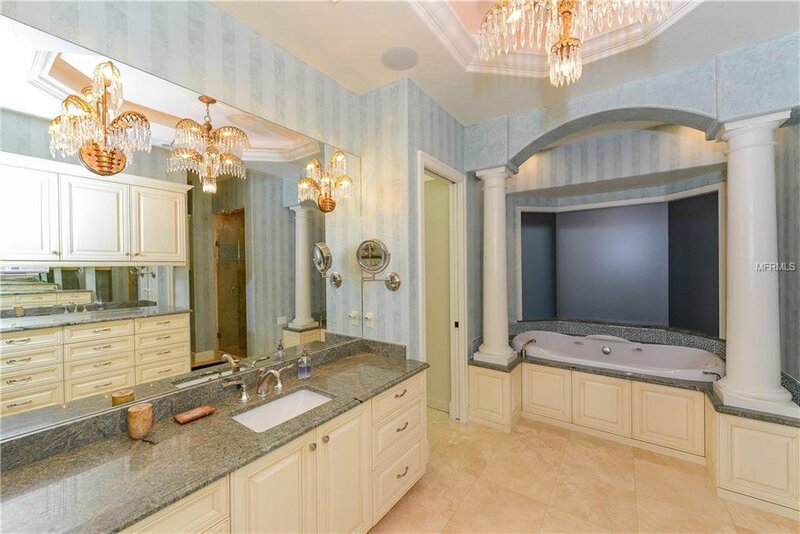 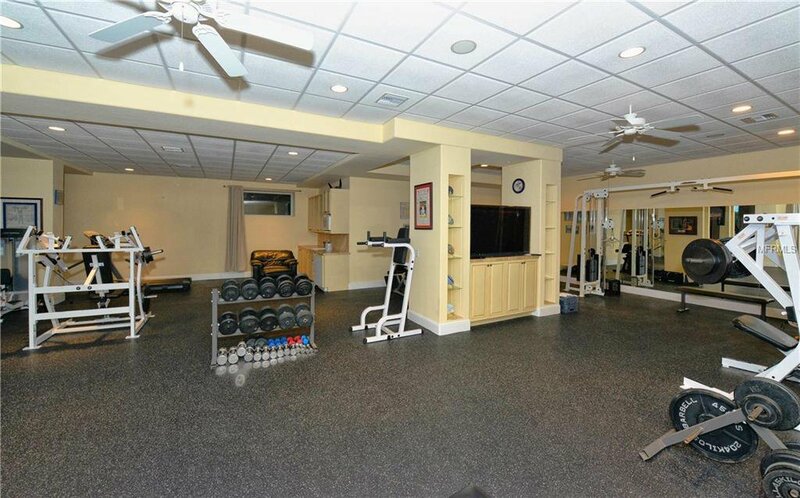 Most private, elegant estate on the best lot in all of Sarasota/Longboat Key.